It’s that time of year again people. Time to start planning or thinking about your team building retreat. Q4 is rapidly approaching, which means its time to for you and your company to take a moment and see where you are. Time to map out your plan for the next quarter and see if corrections need to be made. However, regardless of how well or not your company is doing, a team building retreat is the perfect way to achieve some good goals. Just make sure you follow these tips and plan a team building retreat that adds value. Objectives must be specific and clear. An internal or external facilitator is necessary. Participant profiles and learning style surveys can help crowdsource content. Ask participants to reserve tentative dates. Make sure the content that will be covered is clear. Make the theme realistic and one that reflects your goals and objectives. Pick a good venue. Retreats can be in town or out of town and they don’t always need to involve going off-site to a resort or hotel. If budgets are tight then an on-site retreat is perfect. Other affordable retreat strategies include: a meeting room at another branch of your company. A meeting room at the office of a supplier. A public library or museum function room. A banquet hall during business hours or on weekdays. A community center. A church hall during the week. A summer camp in the off-season. A chalet or other meeting facility at a conservation area. An inn or small boutique hotel in a suburb or small town. A vacation home of a member of the executive team. A school, college, or university on a day when there are little or no classes. Communicate clearly the dates and times you are aiming for. Have your facilitator prepare and executive briefing for the team that deals with the focus of the retreat. The executive can even add a review of performance date and the goals that you need to achieve in Q4. Participant material should be designed by the facilitator and he or she should get approval and sign-off from the executive sponsor. Plan on having food or catering. Your retreat should include things like: An executive briefing that brings together team building and organizational realities. A team briefing to set the stage for the retreat. Some team building exercises. Team bonding activities. A debriefing. Business applications exercises. A post-mortem report should definitely be conducted. I know that team building retreats sound like a nightmare sometimes. You see these people 5 days a week and the last thing some of us want to do is spend a lot of time with our colleagues outside of work. 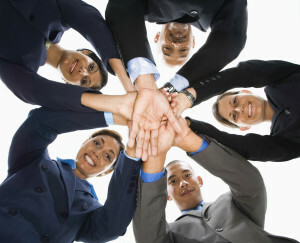 However, team building retreats are critical to having a productive work environment and a successful workflow. Organizing something like this isn’t easy and it takes just as much time and effort to organize a team building retreat as the retreat itself. But in the end, if you can accomplish some good goals, get on a good track, and go into the next quarter with a clear understanding of what needs to be done by you, your company, and your employees then it will all be worth it! This entry was posted in Uncategorized and tagged team building, team building retreat. Bookmark the permalink.